Cuba has decided to ease restrictions on people buying foreign-made new and used cars, according to state media. 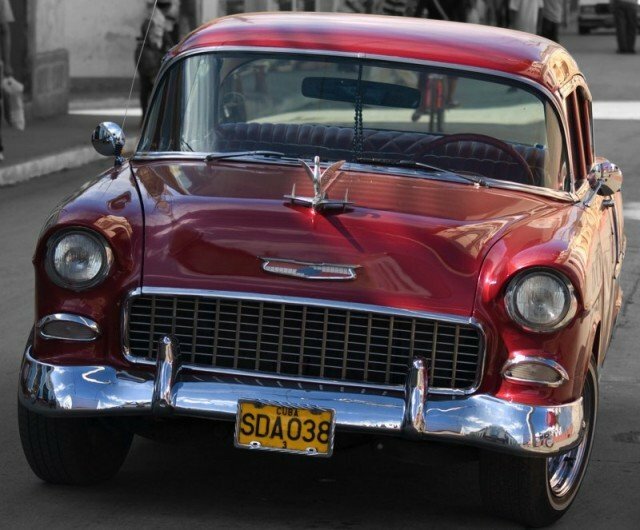 Cubans will no longer need government permits to buy modern cars from state sellers. Private property has been severely restricted on the Communist country since 1959. The changes are part of a shake-up of Cuba’s struggling economy. Following reforms adopted two years ago, Cubans can buy and sell used cars from each other, but must request authorization from the government to purchase a new vehicle or a second-hand one from state-controlled retailers. Priority for the permits was given to people “in positions of benefit to the government”, such as doctors and diplomats. But the Communist Party newspaper, Granma, said the Council of Ministers approved new regulations on Wednesday that “eliminate existing mechanisms of approval for the purchase of motor vehicles from the state”. People who already have permits are expected to be given priority, however. And buyers will still need to purchase vehicles through state retailers. The new regulations will be published in the official Gazette in the coming days and become law 30 days later, according to Reuters. The move is part of a series of reforms driven by President Raul Castro aimed at updating the Cuban economic model. President Raul Castro has championed limited free-market reforms since taking the reins of power from his brother Fidel in 2008.